StereoClub is a stylish, modern and professional WordPress Theme best suited for NightClubs, DJs, Bands, Music, Concerts, Events and more. This elegant Nightclub WordPress theme packs event focused features that will help you to Showcase your DJs, Set up a blog page, Keep people in the loop on Upcoming Events, Upload stunning pictures, Let your fans listen to your music with a compact custom audio player, Promote your audio CDs, and Highlight videos of your awesome events in a dazzling manner. 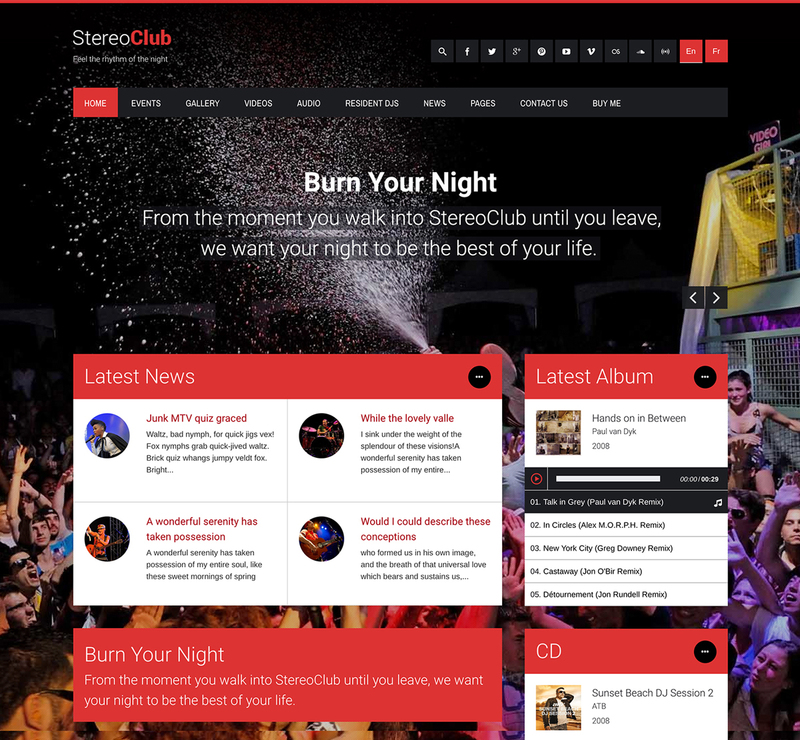 If you are looking to create a unique and effective Nightclub website with WordPress, StereoClub is the perfect theme for you! This fully responsive Nightclub WordPress theme has a Vibrant and Contemporary look and is designed for those who enjoy parties, discos, bands, nightlife , and dancing. StereoClub will work without any compatibility or translation issues, ensuring your users a pleasant browsing experience. You can translate your entire site to attract a wider audience. With this theme, the only limit is your imagination, you can use Theme Options to manage theme behavior and Customization Options to change the appearance of your site to fit your purpose. Some of the useful features you will enjoy with this Nightclub WordPress Theme include 5 Custom Post Types, 13 Personalized Widgets, and Powerful Drop-Down Menu. StereoClub is full CSS and features microformats alongside threaded comments. Use StereoClub to unwrap exciting prospects for your Nightclub, Disco or Band today! Having the right DJ performing at your club is important as it significantly impacts the attendance. Take advantage of the DJ section and spread word about the DJs that are coming to entertain the crowds in a professional and catchy manner. Include a brief description of the DJ to notify your visitors of what they should expect. StereoClub gives your patrons the possibility to listen to the music of their favorite DJ, like the page and share it on various social media platforms. StereoClub WordPress theme comes loaded with a powerful event listings and details section for both admin and event organizers. You can effortlessly add and display upcoming and past shows or performances on your website. The amazing portfolio design in StereoClub helps you to showcase your events in 3 categories: Special, Midnight or Outside Events. 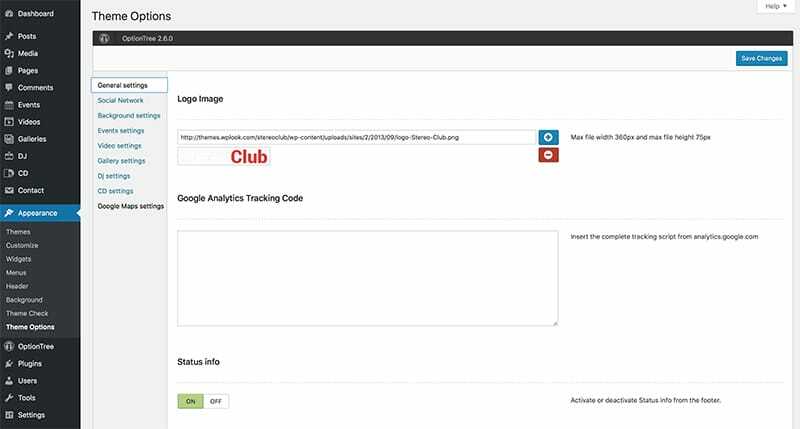 You can easily manage upcoming events with complete details, date, location, picture and contact information. You can additionally include the status of an organized event (Sold Out, Buy, Free Entry, Canceled, etc.) 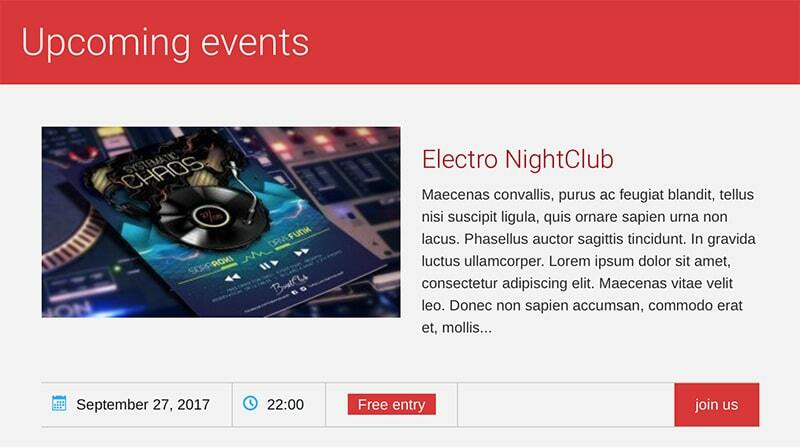 Selling event tickets using this Nightclub WordPress theme is sure to make your marketing strategies more fruitful and efficient. Ticket pricing will keep everything transparent. This Nightclub WordPress theme gives you a platform to have pro appearance on the internet. It offers you an online presence where you can connect with your audience or fans and share your experiences through videos. Upload videos that will describe a typical atmosphere of a nightclub to capture partygoers’ attention and convince them to purchase tickets to your show. StereoClub allows you to highlight videos of your awesome events and place them in 3 categories: Nightlife, Guests and Midnight Events. 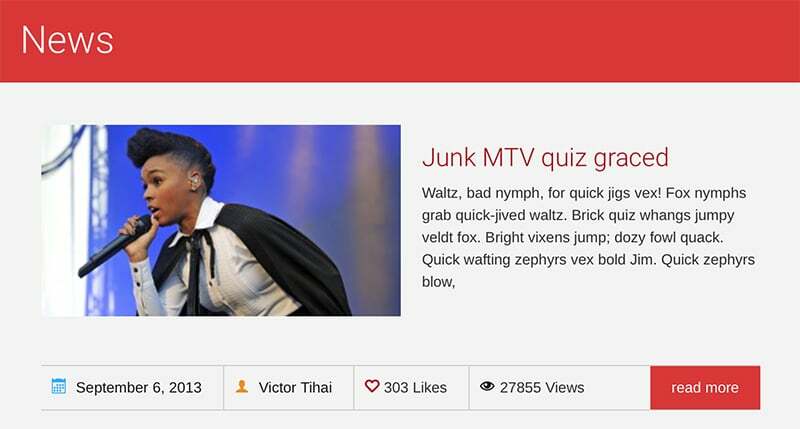 Your visitors can conveniently like a video, share it or watch later. StereoClub will let you bridge the gap between you and music lovers by allowing you to add samples of music that can be played with the inbuilt streaming audio player while your web visitors browse through your website. Your visitors have the luxury to choose from other albums, DJ , and CD. The Unique design in the audio page will allow them to view a song by artist, genre and year of the song. This way, you can support your artists and promote your nightclub in style. A blog section where you share event stories, media and news related to your industry will generate more conversions, subscriptions , and revenues. StereoClub has a well-positioned blog template to allow you to post personalized content and let your readers stay focused on the posted content. Posting regular and exciting content to your blog is a sure way to retain the attention of your visitors and gain their trust and credibility. StereoClub is endlessly customizable, with terrific advanced theme options that offer lots of possibilities to set your website up the way you like it. 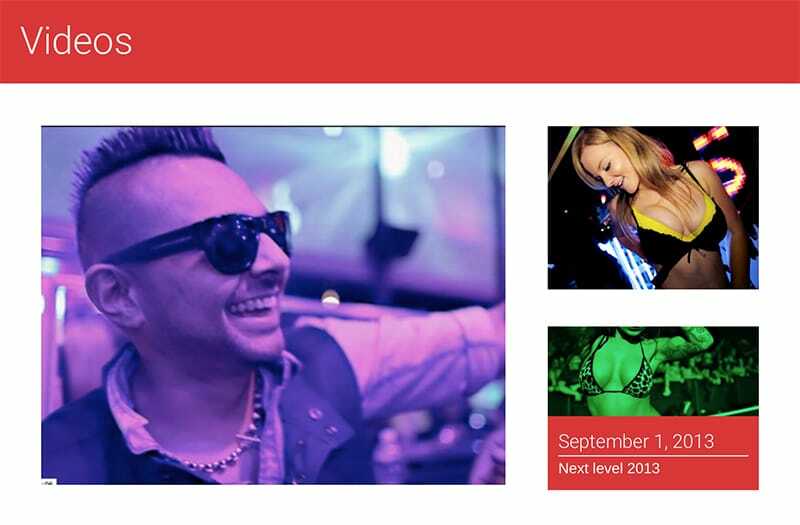 Choose from page layouts that include Night Club features (Events, DJ, Blog, Gallery, Video, etc.) and build your nightclub website!